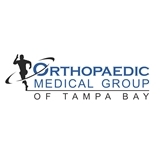 Orthopaedic Medical Group Of Tampa Bay (Riverview) - Book Appointment Online! At Orthopaedic Medical Group of Tampa Bay, we specialize in helping people maintain a healthy and active lifestyle. We are able to offer complete evaluation and treatment for all types of orthopaedic injuries and help each patient achieve his or her goals. Each physician will take the time to evaluate your condition and make sure you understand your diagnosis and treatment and are an active participant in the treatment process. Treatments may include further diagnostic imaging (MRI or CT scans), physical therapy, medications, injections, or possibly surgical interventions. We take pride in the fact that virtually all of our treatments and procedures are based upon the most up-to-date research in orthopaedics and are on the forefront of innovation in their particular field.